Now don't you feel special that I made a card just for you...? It's for my favorite husband (I only have one) who is away in St. Lawrence, Newfoundland for a provincial soccer tournament. He always takes these tournaments quite serious. And even though I give him a hard time as its an incredible time commitment, I am super proud. Good luck this weekend! Let's go to Nationals! I used Crystal Effects to give the light bulb... a.. well.. a light-bulb-y feel. This card is entered in the Paper Craft crew #56 challenge for this week! I couldn't stop there because look at that AMAZING DSP Brights paper stack!! Seriously... that stamp "Fishin' Around" is super cool. I've seen a lot of people do some incredible things with it!! I decided to get out my irridescent ice glitter and my pearls to add on top of the watercolored image. This card followed the amazing Fab Friday sketch! And because I wasn't quite ready to go to bed... I should have gone to bed. Darn. I grabbed the neutrals DSP stack and participated in the Create with Connie and Mary Sketch... Brrr... it simply reminds me of Fall lately.. 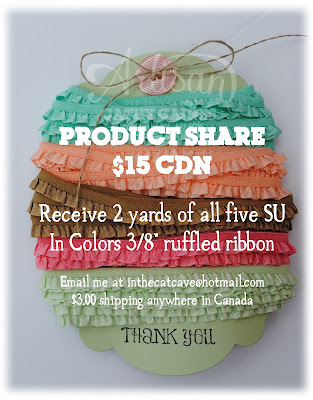 If you like that ribbon... don't forget about my ribbon share! Oh and there's the Holiday Mini Album shares as well! Love the three panels of leaves! Such a pretty fall card! And I do love that ribbon! All your cards are super!! Thanks for playing the challenge at Create with Connie and Mary! Love all of your cards! Each one has something unique going on. So glad you joined us this week at Create with Connie and Mary. I can't help but smile at those cute fish! Love the pearls and II for the details! Super fun! Thanks for sharing at Fab Friday! REally like your card for the Create challenge. I like the squares with the bits of leaf on them. Very "fall"! Thanks for playing the Create with Connie & Mary color challenge this week! You definitely had a productive day -- so many great cards! The little fish bowl stamp is so cute, and I love it paired with the bright polka dots. Thanks for joining us at Fab Friday! Wow! Lots of pretty cards! I love that fish bowl! Thanks so much for joining us at Fab Friday! You were on quite a creative roll, getting all these lovely cards made! Your leaf card for the Create challenge is so very pretty...love the three panels for the leaves, and that BBSugar Ribbon is delicious on the black! Thanks for joining us this week for the color challenge at Create with Connie and Mary! Love how you did the 'partial' images of the leaves in your squares. Such a great technique! Thanks for playing along this week in the Create with Connie and Mary Thursday Challenge! Those little fish are so adorable and fun! I love that you used pearls for the little bubbles. So sweet! Thanks for joining us at Fab Friday! Great look with the leaves and having them only partially "showing"! Love all your cards! Thanks for playing along with the color challenge this week on Create with Connie and Mary! 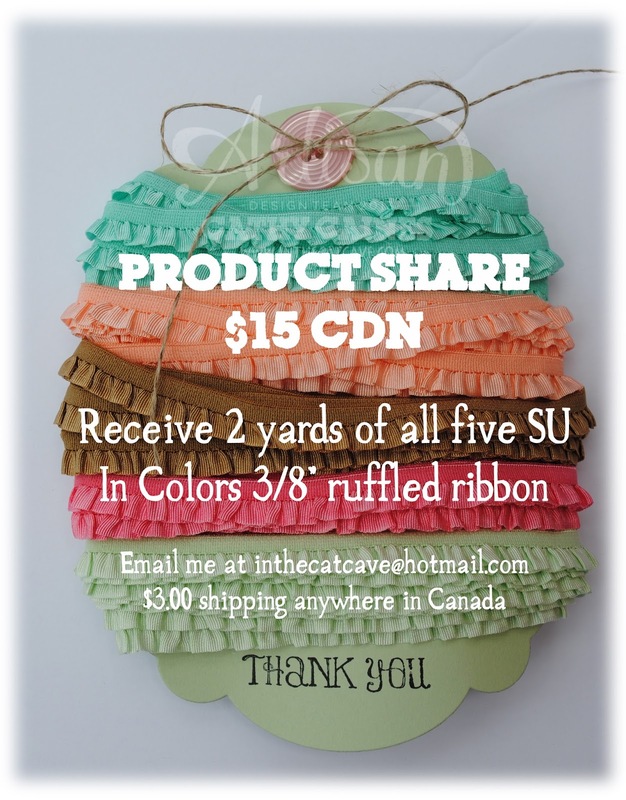 I like the look of the layered ruffled ribbon! A frilly touch to a Fall card! Thanks for joining us in the color challenge this week at Create with Connie and Mary! All of your cards are so pretty. Love the 3 squares of leaves on your CCMC one! So glad you joined us this week at Create with Connie & Mary!